Vietnam – China border crossings are the most crowded ones and known as ideal places for shopping and getting bargains. There are three border crossings, namely Mong Cai (Vietnam)/ Dong Hung (China), Dong Dang/ Ping Xian, and Lao Cai/ Hekou. All border crossings are in the northeast of Vietnam. 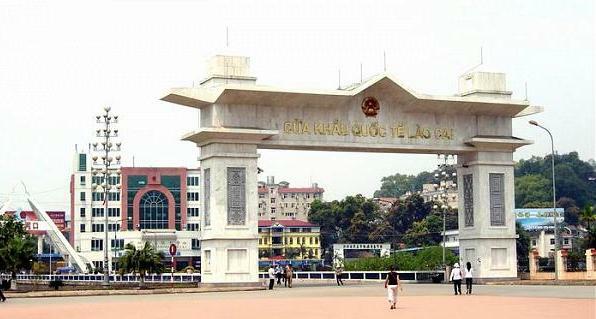 It is easy to get to Mong Cai from Quang Ninh province or Halong City while from Sapa, Lao Cai, tourists could find the fastest way to Kunning through Lao Cai/Hekou border gate. If departing from Lang Son and heading to China, you had better to get to Dong Dang/ Ping Xian border gate and conversely, coming from China through Dong Dang border gate, you certainly get to Hanoi easily thanks to a variety of buses or trains.